Happy Monday everyone. The extra money comes in handy from time to time. There are tons of side hustles out there. I want to share an interesting one with you today. People are making a lot of cash dog walking. I’m serious. People are actually paying others to walk their dogs. If you like dogs, then walking them could be a nice side hustle for you. 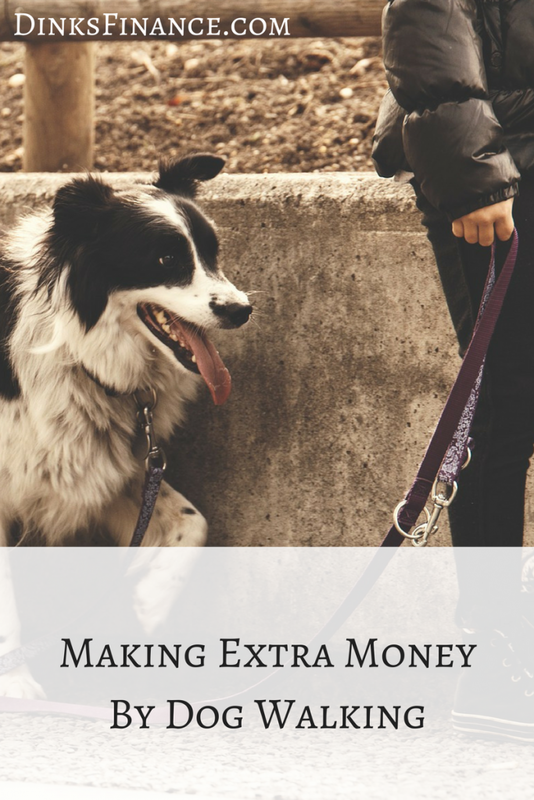 You get to walk dogs and make some extra money. How cool would that be? There are two advantages of dog walking. The first one is that you’re exercising canines. There are a lot of busy people out there. They don’t always have the time or the energy to give their dog a workout each day. Dogs need that workout so that they can adjust well to life with humans. The other advantage of dog walking is you get exercise as well. Health is wealth. Staying active is key. Walking dogs several days of the week will help you to stay in shape. This side hustle is pretty easy to start. You don’t need any special paperwork or credentials to walk a dog. Being an owner or a dog lover helps you out when you want to become a dog walker. You know how to treat dogs, and you also are aware of their habits. Everyone doesn’t like dogs or want to deal with them. That would eliminate some people automatically from attempting this side hustle. If you don’t have a dog, but you’re still interested in this side hustle, I’d suggest doing a little research on dogs. When you are starting out, you can work on a plan to get customers. If you own a dog, there is a great chance that you know others who own dogs as well. Have a chat with them and see if they would be interested in hiring a dog walker. If they say yes, then you have your first customer. If they say no, don’t sweat it. Ask them if they know someone that may be interested. You never know what may happen. Get a feel for the market in your city. Doing that will help you when it comes to setting your rates. If you don’t advertise your services, nobody will know that you are offering them. You will never get any customers. Free advertisement is one of the best things out there. Telling your friends and your associates about your dog walking service could pay huge dividends. If you want to take it to the next level, you can turn your car into a moving billboard with the name of your service and your contact info on it. Another way that you can advertise your service is through social media. These days, social media is king. You can promote your services on Facebook, Twitter, and Instagram. You must prepare your gear. You might be walking several dogs at one time. You should have extra leashes just in case one of them breaks. You also should have some plastic bags with you. You should pick up after the dog if it happens. You should make a schedule that works with you. If you’re available during the week, work weekdays. If you’re not, shoot for the weekends. Also, make sure that you give yourself time to walk the dog and also time to get to your next client. Would you consider dog walking as a side hustle? It’s funny because dog walking and even pet-sitting have become pretty big industries. I considered dog-walking in my area since I love dogs and extra money. I was dumbfounded by the amount of competition. I think it’s possible to make a fantastic living caring for pets, but it helps to have non-conventional hours and an area with less competition.